The great fish breaks the surface of Alabama's beach water. Crystal droplets hang suspended in the sunlight between the sky and the Gulf. The tail dance of an Atlantic sailfish, rising out of the deep, skittering across the turquoise waters is a thrill no angler can forget when fishing in Gulf Shores or Orange Beach. Going after sailfish is only one of the angling thrills that await you on your visit to Orange Beach and Gulf Shores. From bluewater fishing to cruising the back bays for snapper, the angling possibilities are endless. Need to know what's running? Check out our Fishing by Season page. 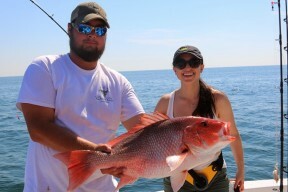 Reserve Your Fishing Trip Today! If you're in search of the trophy photo of a lifetime, blue marlin is the king of game fish and can be found in Orange Beach and Gulf Shores. Its smaller leaping cousin, white marlin, is also found in the deep Gulf waters along with the tail-dancing Atlantic sailfish. Cobia/Crab eaters - migratory fish caught just off the beaches. If you're in search of a real fishing story, go after barracuda. These are fierce fighters with teeth to match: making for a promising battle between man and fish. For those who prefer to sit back in their beach chair and cast a line, you’ll find plenty of space and plenty of fish along our beaches. Visit the popular Gulf State Park Pier with over two thousand feet of rail space for anglers. 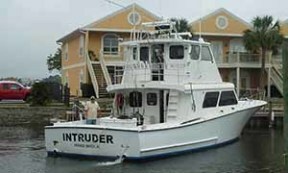 With a fleet of over a hundred fishing charter boats heading out into the Gulf and back bays daily, booking a fishing excursion is easy. 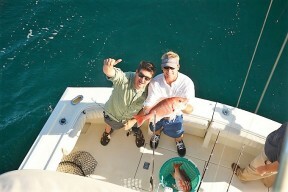 Once aboard, experienced captains will get you to your fish and show you how to hook your trophy. 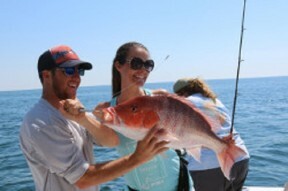 Private party fishing charters and walk-on group charters are available. 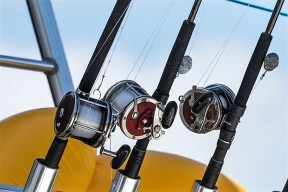 Bait, tackle and fishing licenses are provided as part of the fishing charter package. All you have to do is sit back and enjoy the fishing experience of a lifetime. Sometimes you just want to skim over the turquoise waters and experience the Gulf for yourself. We understand. The boat-friendly environment in Gulf Shores and Orange Beach offers full boating services and friendly Southern hospitality. You can either bring your own or get a Gulf Shores or Orange Beach boat rental. 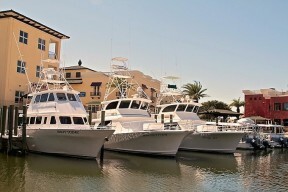 Check in at one of our marinas and we'll guide you to where the fish are biting. 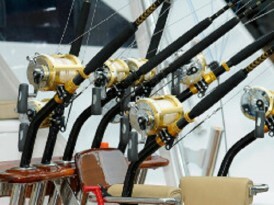 Head offshore or cruise the back bays to find your catch this fishing season. You will find yourself in a whole different state of fishing, where turquoise waters lap softly against sugar-white sand beaches and the deep Gulf waters promise the catch of a lifetime. 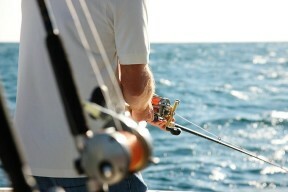 Plan your Gulf Shores and Orange Beach fishing trip today!